Scrolling through some of my favorite bloggers yesterday I was very excited when I came upon a brand new challenge – The Rainbow Card Challenge. The theme this month is Red Romance. Sorry the image is a little glaring (dreary day here in the NE). I used versa mark ink and stamped the Simon Says Stamp Sketched Flower image and embossed with gold detail embossing powder onto red cardstock (MFT). I used a prisma color white pencil to color in some of the flowers. The sentiment is from Hero Arts. In addition to shipping cards for Send A Smile 4 Kids I donate handmade cards to Nursing Homes and two Veteran’s Homes in PA, (Philadelphia and Erie). This card will be going to one of the Nursing Homes. Live Love Cards has a new challenge this month — bottom heavy (leave white space at top). I have been a member of Live Love Cards for quite a few years and not only learn so much from Darlene but also from the other members. I can usually find what I am looking for in the Forum or searching for a particular technique, design or use of a certain product. I am always challenged by Clean and Simple cards and this was even more challenging to keep the design on the bottom. I was inspired by last week’s sketch at Freshly Made Sketches (#339). Here is my card. The floral papers are from my stash. Sentiment and flower die cuts (colored with Copics) are from Hero Arts. I have made several Valentine’s cards using January 2018 Hero Arts Kit. Hero Arts Kits are a great value because so much is included in the kit. Everything was included in the kit – the stamps, the dies and the sequins. I would like to participate in Little Red Wagon challenge (Love) and Crafting by Designs (Valentine). I have been so busy receiving cards and packing boxes for shipments to Children’s Hospitals (SAS4KIDS) for the holidays. I took a break today to make a few cards. One of our card makers for SAS4KIDS is on the Design Team at Tuesday Throwdown and I have been making an effort to participate in their challenges. Debi is a faithful contributor to SAS4KIDS. I had the pleasure of meeting Debi, Sybilla and Eileen this past summer and I was so blessed and motivated with our visit — they refer to themselves as the “Three Musketeers”. Our card makers are so generous. 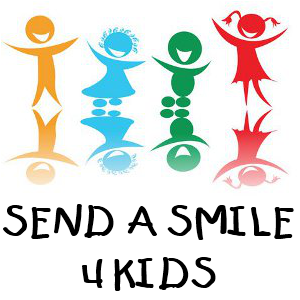 My goal is to introduce SAS4KIDS to as many hospitals as I can so we can put more smiles on those sweet faces. Verve Stamps/dies used, colored a little with copics and on the wings I used Zig Wink of Stella gold marker. The ribbon and lace are from my stash.